A 50-question online exam is also available from PEI. The Entry-Level Service Technician Training Course teaches basic job skills and information you'll use during your first days on the job. This course was designed to supplement your company's entry-level training. 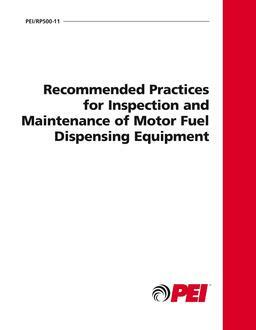 The Entry-Level Service Technician Training Course cites information from the most common reference publications in the industry: the Petroleum Equipment Institute, the American Petroleum Institute, the National Fire Protection Association, International Code Council, Occupational Safety and Health Administration, federal underground storage tank regulations, the Spill Prevention, Control and Countermeasure regulations, Underwriters Laboratories and the National Conference on Weights and Measures.